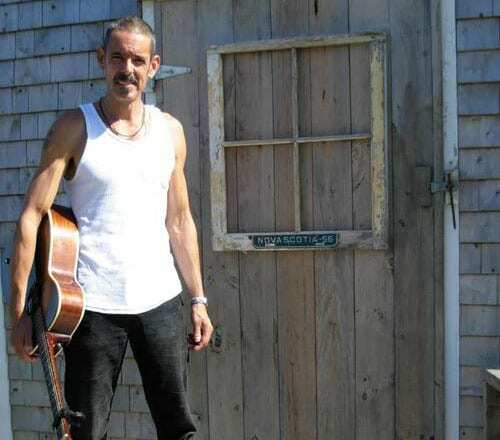 If you have attended a live concert with Ray Bonneville, Morgan Davis, Carlo del Junco, Mary Jane Lamond, Thom Swift, Rita MacNeil, David Myles or Bill Stevenson, then you’ve probably seen and heard Geoff Arsenault. He’s the unassuming guy tucked in behind the drum kit laying down the solid rhythmic foundation. For most of his life, Geoff has done just that…quietly making other people sound better. But there’s another side to Geoff. He is a songwriter, a singer with an incredible voice, and a more than an adequate guitarist. Until he released his first solo recording, “This Ain’t No Fiction,” back in 2006, even most of his closest friends and band mates knew nothing of this other side. Now Geoff Arsenault is back with his second solo recording, “Voodoo Baby Rattle.” Recorded at the legendary Echo Chamber, in Halifax, with Charles Austin and released in February of this year, the songs on this second recording, like on his first, are based on very subtle grooves, with a Tony Joe White vocal style, and guitar work reminiscent of JJ Cale. And grooving is what we like at Deep Roots!